To design and build a fully responsive email template for their Horizons newsletter, where content can be easily updated by the client to send out future emails. This is a reminder email sent out to new customers to show them which benefits they still need to unlock to make full use of their account. email reminder for customers to unlock all the benefits of their account in 3 simple steps. customized for each user depending on how many steps they have already completed. 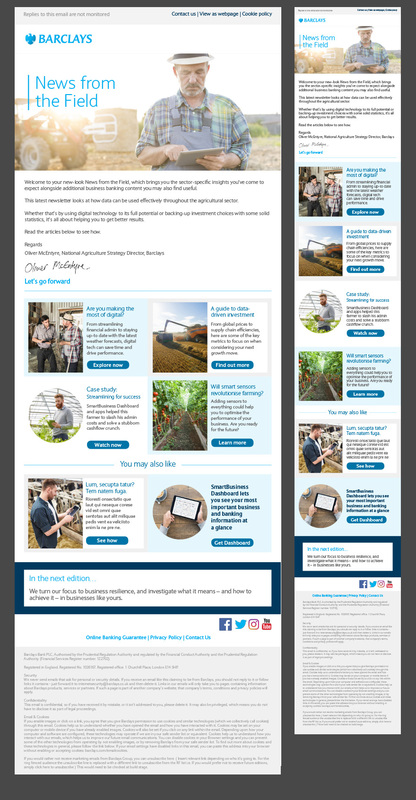 Responsive email for Barclays Premier customers showcasing the latest relevant news and information. Email promoting the launch of a new series on Virgin Media combined with 8 fun sharable facts on the Wild West. Weekly templated email sent out to all VM customers, with different versions sent out depending on customers media package.